The 1.3m Ground Mount Kit will convert the Austral Unit Line to a free standing soil installation. 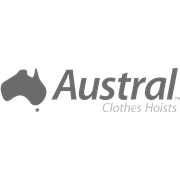 The Fold Down Ground Mount Kit will convert Austral Unit Line to a free standing model. 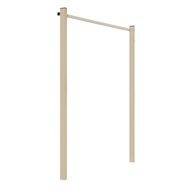 This post kit is suitable for soil installations. Note: Please refer to instructions to set user’s correct height. The Back Bar may be reduced in length if a shorter line is required. The Fold Down Front Bar (selected model) must be reduced by the same amount. 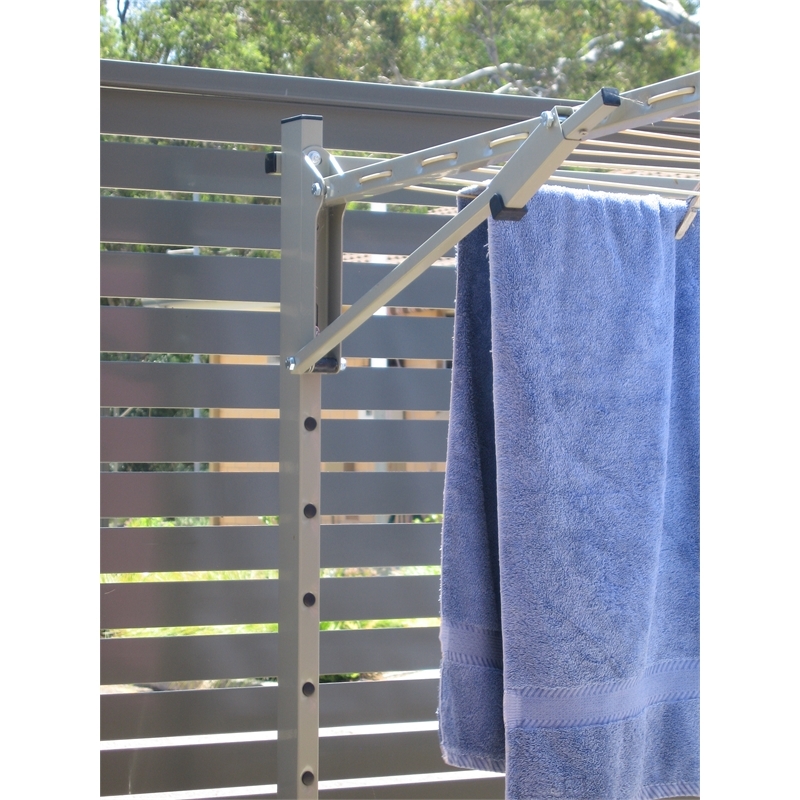 Austral pre-assembled Fold Down Side Arms are fitted directly to pre-punched Posts. 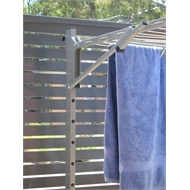 Multi punched Posts allow easy DIY or adjusting heights if required. Plugs are supplied for unused holes. 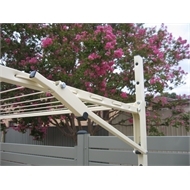 The Ground Mount Kit converts Austral Unit Line to a free-standing line. 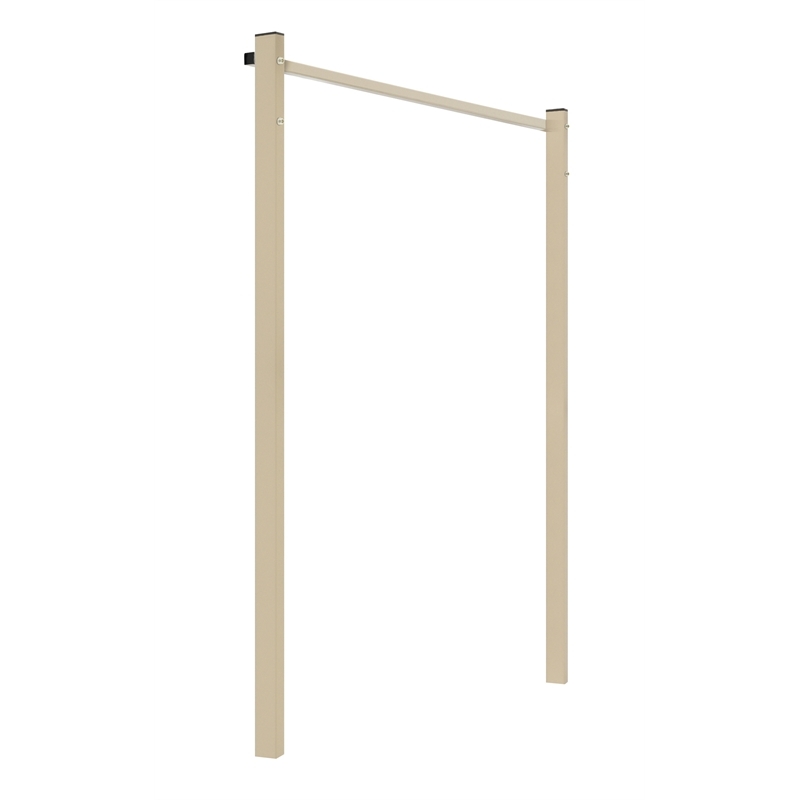 The 1.3m Ground Mount Kit (for soil installations) is supplied with 2 upright Posts with welded bases, 1 Back Support Bar and Accessory Pack (plastic end caps and plugs for unused holes). 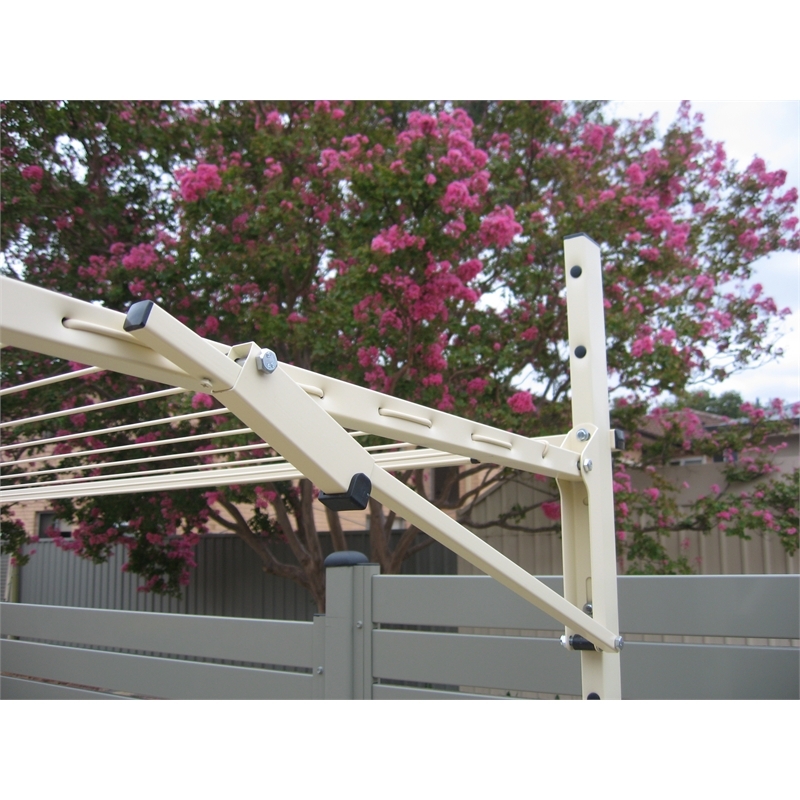 1.3m Ground Mount Kit may be used to convert an Austral Fold Down Unit Line to a free-standing clothesline. You will need to purchase pre-mix concrete to fix the Posts into soil.